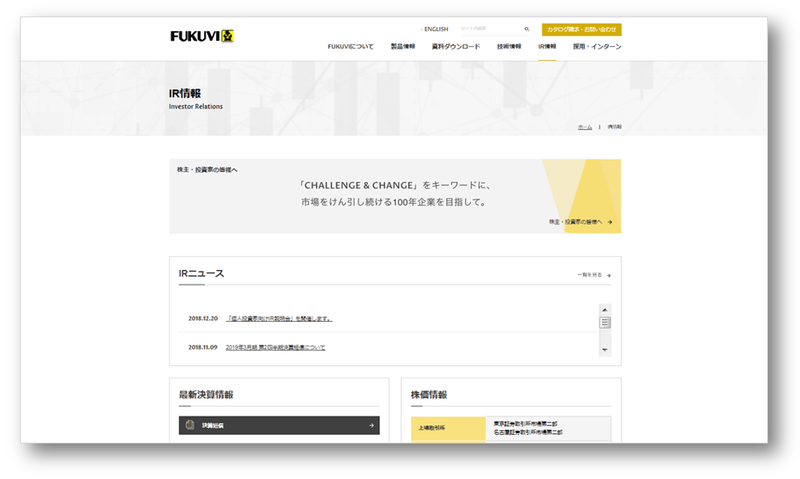 Fukuvi Chemical is always working to increase value for our shareholders and investors. 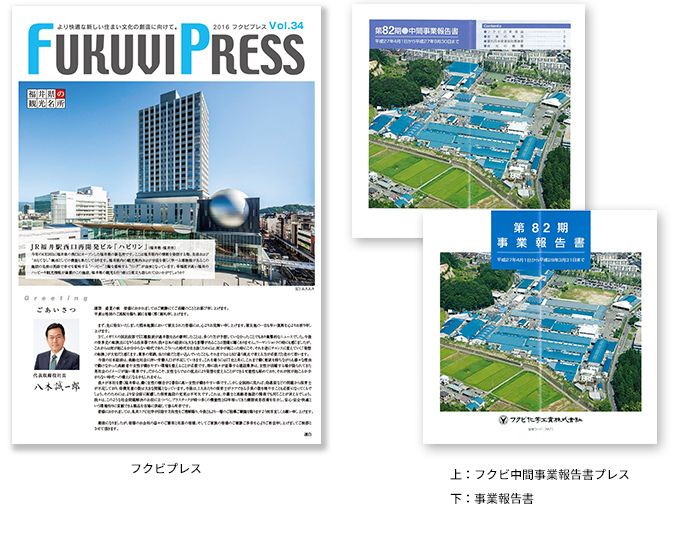 In order to have transparent management and swift disclosure of honest information, we issue a business report magazine detailing the activities of our company. Additionally all of our IR activities are published in full detail on our company’s homepage.